A great pair to invite to your next party! 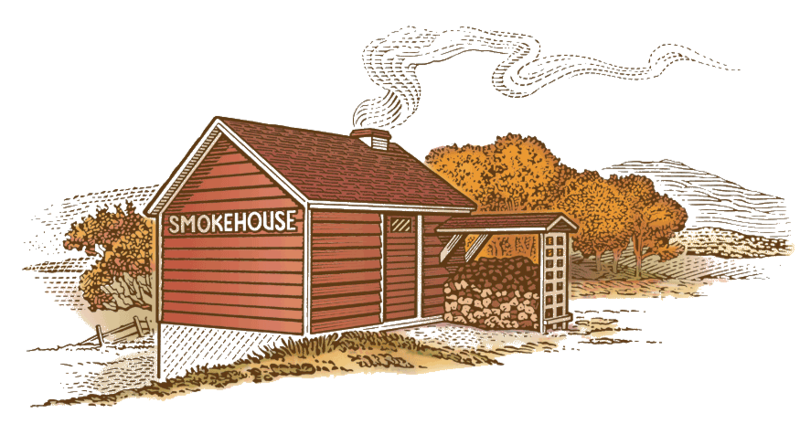 Our slow smoking over corn cobs and maple wood imparts a flavor to these tender meats that is irresistible. You'll receive 1.75 - 2 lbs. 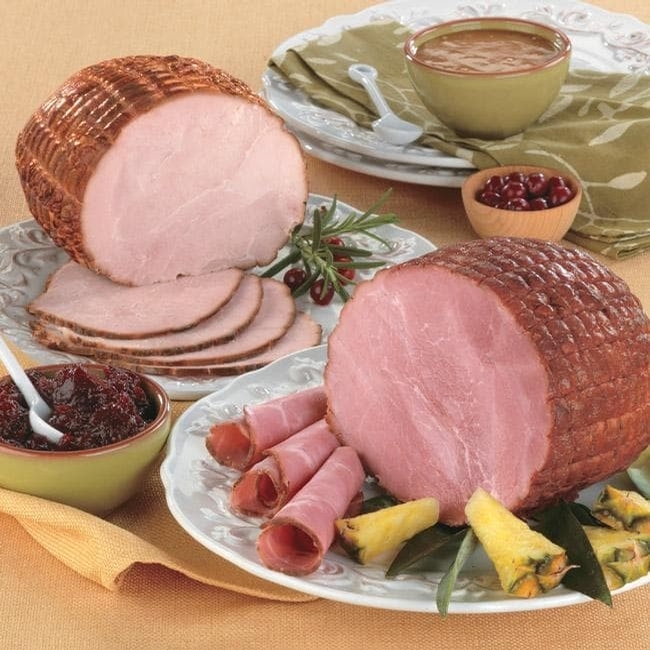 each of Boneless Ham and Turkey Breast. Both are fully cooked - just slice and serve. Plus you'll receive 2 FREE gifts; 6 oz. of our Corn Cob Smoked Bacon and 8 oz. of our Specially Aged Cheddar.